Does it only work with EasyEclipse or can you use it with other eclipse implementations? I have it working on a plain old Eclipse install. 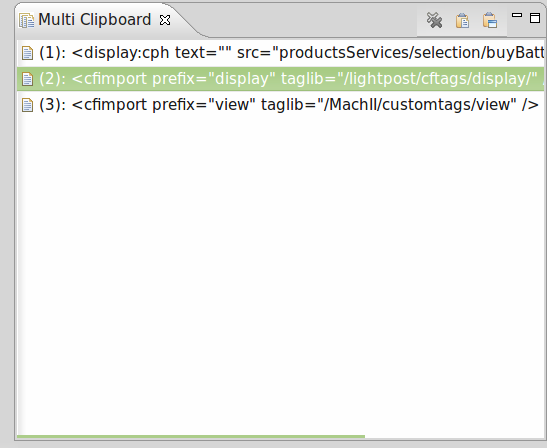 The Multi-Clipborad doesn't have any external dependencies on EasyEclipse. Thanks, that's good to know. I'll have to give it a shot. Thanks for the idea.It seems so kind and used.